Just wondering, will the pin-memory also improves the situation when passing strings/other buffers to c functions (e.g. via cffi)? 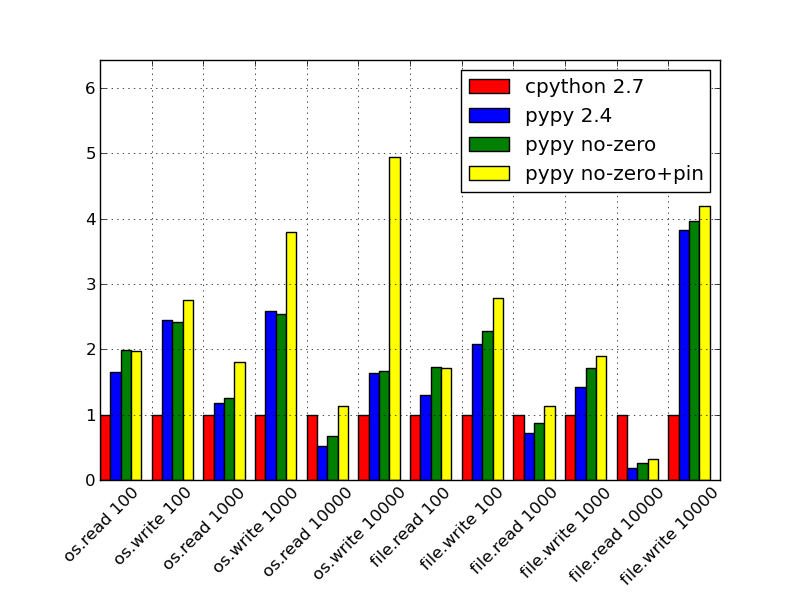 Is not hoisted out by CPython (whereas I guess PyPy does hoist it). Which means that the buffer written is basically allocated/freed upon each loop. Also, might be worth trying wth binary mode.